A new Android developer preview program is always an exciting moment here at Android Police. We love to dig into everything new and provide you with an early look at unreleased features. 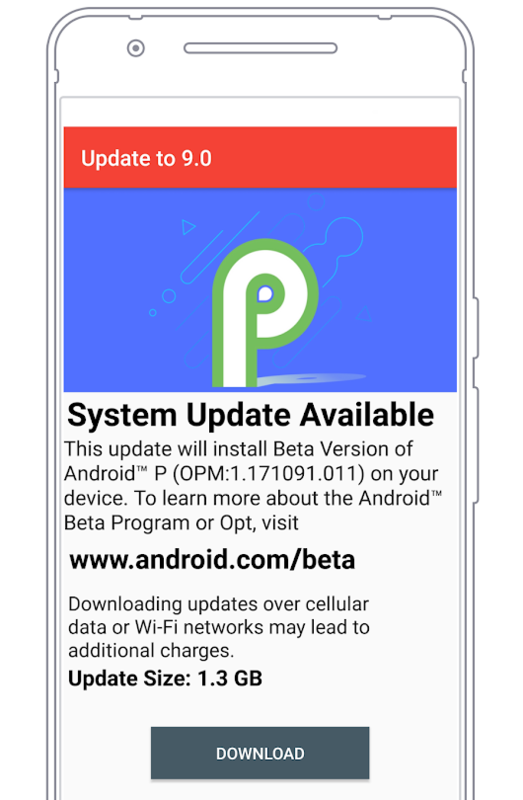 Better yet, you don’t need to worry about installing unstable beta software on your device. However, we know you. Of course, you want to get your hands on the fresh release ASAP. Some bad actors on the Play Store know this as well. Searching for “update to Android” reveals a load of apps which promise that, but won’t do that. 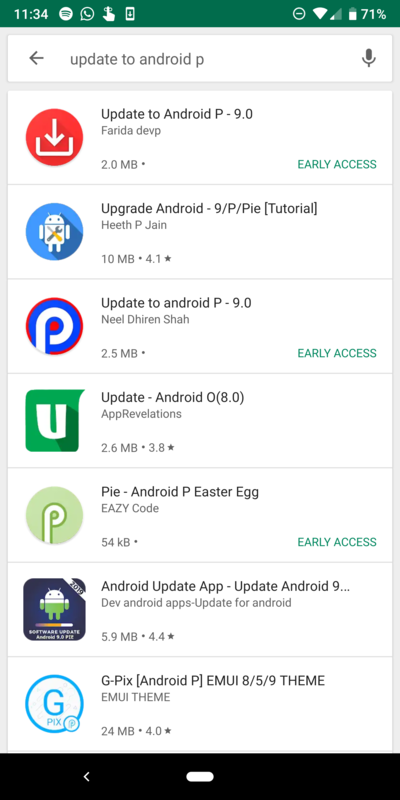 Funnily enough, those apps don’t even promise updates to Android Q, but only go as far as O and P. I guess that they target users who aren’t too tech-savy but heard their peers talk about those “Great New Features” in Android Pie. 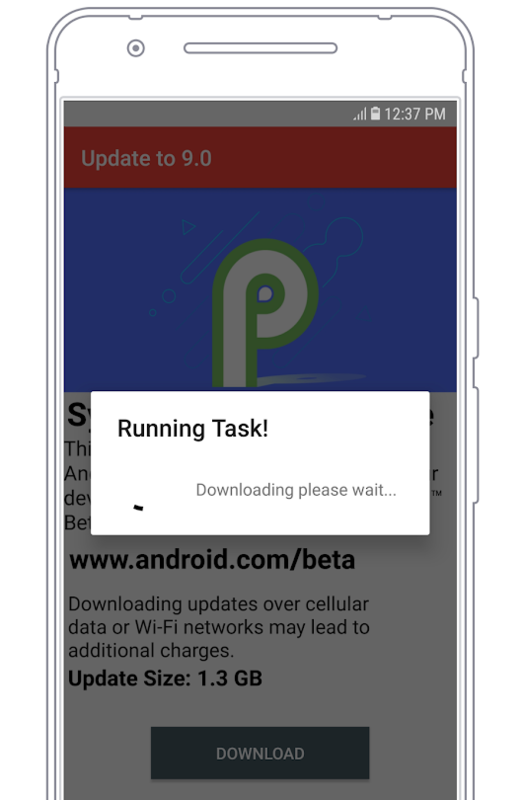 Or maybe the developers live under a rock and haven’t heard of that ominous Android Q yet. Obviously, don’t install any of those. As pointed out in the reviews above, your best case scenario is that the app will show you some ads and then tell you the update failed. 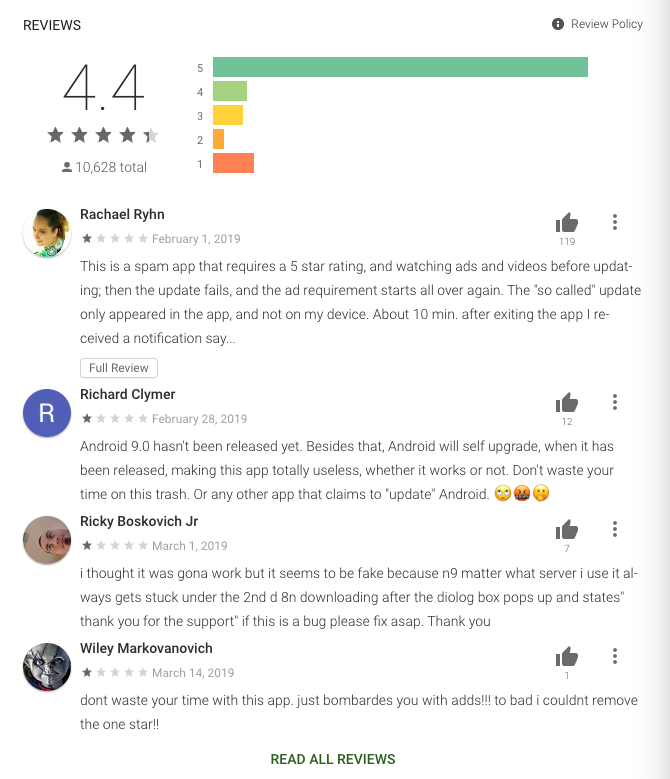 In the worst case, these apps could inject malicious code, as some malware always manages to slip into the Play Store. Android updates often take months, possibly more than a year until they reach most Android devices, apart from Google’s Pixel phones and a few other manufacturers’, like Essential’s PH-1. 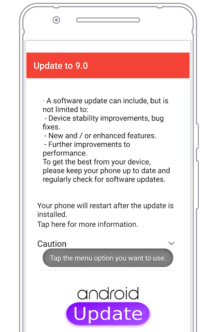 You can’t just install an app that will magically upgrade your phone. 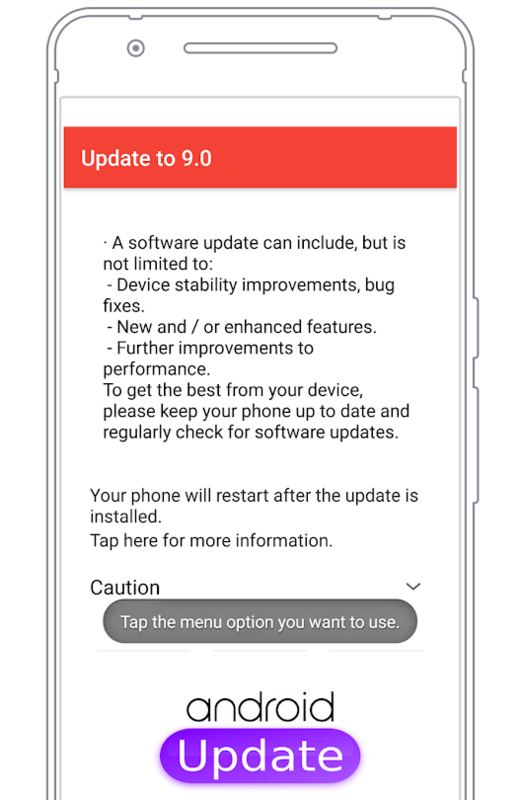 Your device maker is the only one that can issue an update — you’ll get a notification once it’s available and you can only download it from the Settings app on your phone. 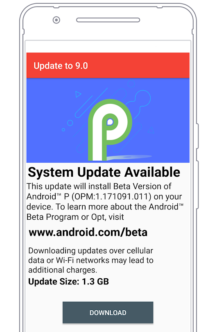 That’s not how you update your phone’s software. We’re purposely not linking to any of the listings as to not give those apps more exposure. However, if you set out to find any of them on the Play Store and feel like doing something for the advancement of humanity this weekend, you can flag them as inappropriate. 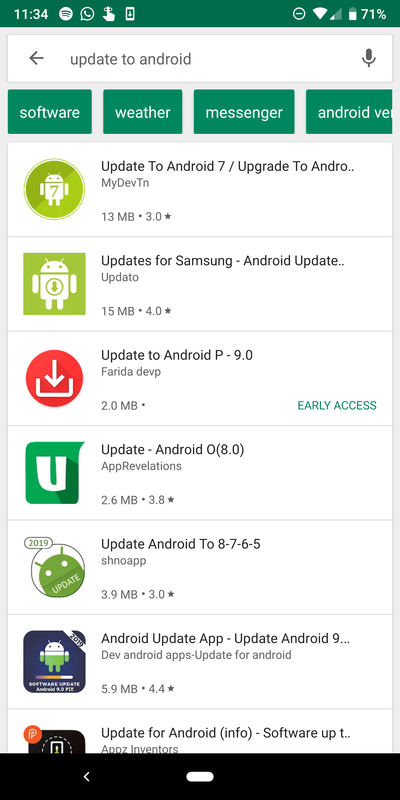 Alternate title: No, Mom, you can’t update your phone’s Android version through an app you found on the Play Store.